Classic pieces that transcend seasons. ‘Less is more’ is a personal mantra of mine I try to live by. I strongly feel this across all aspects of my life – largely in terms of style and my wardrobe, but also in life and relationships. With a new year, it’s the perfect time to consider our wardrobes, their needs, clear out any unused pieces (donate!) and adopt a mindful approach to our consumer behaviour. Less is more when it comes to a considered wardrobe. I prefer to have fewer items of great quality and versatility, over a wardrobe full of trend based fast fashion buys – which ultimately end up being more costly in the long run; in terms of wastage/ throwing out and replacing – not to mention the true cost to our environment and more importantly all of the people directly and indirectly affected by the fast fashion industry. If you haven’t watched the documentary ‘True Cost‘ on Netflix, I urge you to watch it, your buying behaviour will be forever changed. Asking yourself will you wear it at least 30 times is a great place to test the versatility/wearability and start shopping smarter and with more intention. Will you wear it 30 times? : Look to invest in pieces that are transeasonal and versatile – classic without dating trend based details. These are pieces that you can dress up / dress down, wear with multiple other pieces in your existing wardrobe. Asking yourself will you wear it at least 30 times is a great place to test the versatility/wearability and start shopping smarter and with more intention. 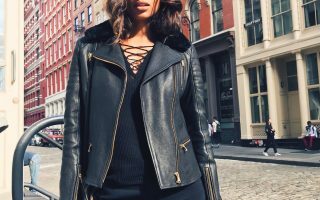 Break the Cycle: Move away from the micro seasons invented by the large fast fashion chains, and slow down your fashion cycle. Buy pieces you love, that you can wear across multiple seasons with different styling/layering. Think classic white tees, denim, silk basics, quality leather that gets better with age, sneakers, quality ankle boots that you can re-sole over and over etc. Opting for natural fibres like linen, cotton, silk and leather will not only wear beautifully but will also last longer with the proper care. 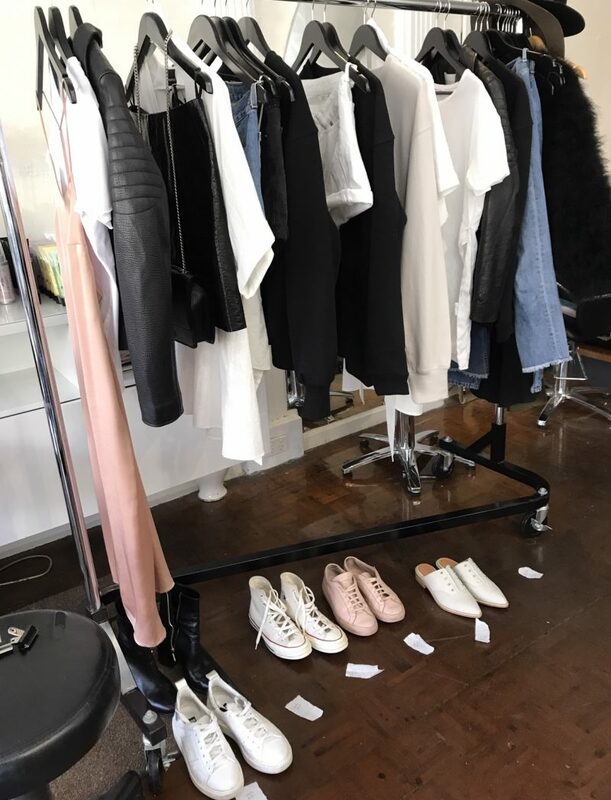 BTS styling of our Spring 17/18 shoot. Wardrobe essentials – denim, cotton, linen, silk and leather.